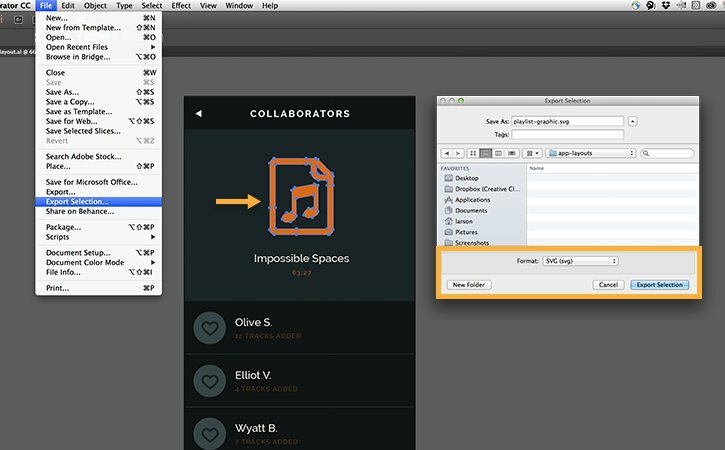 Learn how to export lightweight, modern SVG that is optimized for web and mobile workflows. 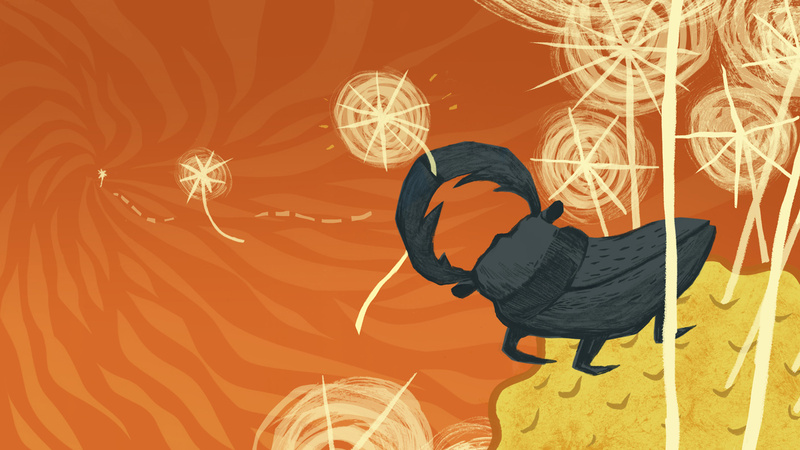 The latest release of Illustrator CC 2015 features a completely new way of generating modern, efficient SVG code. The new option to export SVG code includes improved support for web and mobile workflows, and produces higher quality SVG artwork. To save your artwork artwork as SVG, choose File > Export > SVG (svg). Check Use Artboards if you’d like to export the contents of your artboards as individual SVG files. 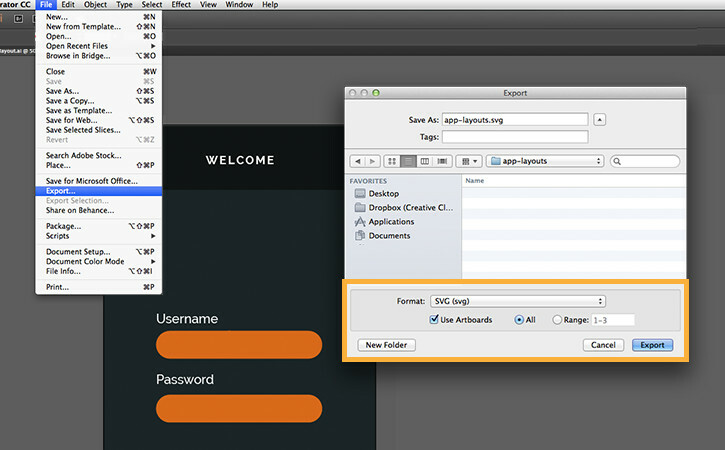 Click Export to open the SVG Options dialog. Note: If the Use Artboards checkbox is left unchecked, the SVG file's viewport will be set by the combined bounds of all the objects in the document. SVG Export also allows the export of individual components, or entire sections of a design, rather than the entire artboard. 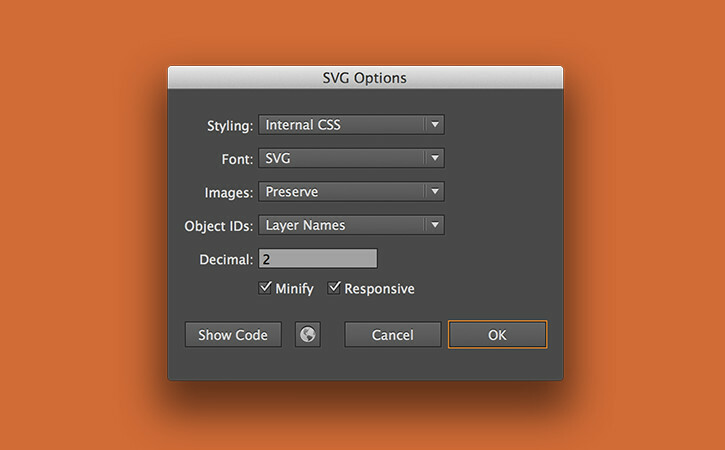 To export a section or component of your design to SVG, select it, and then choose File > Export Selection > SVG (svg). 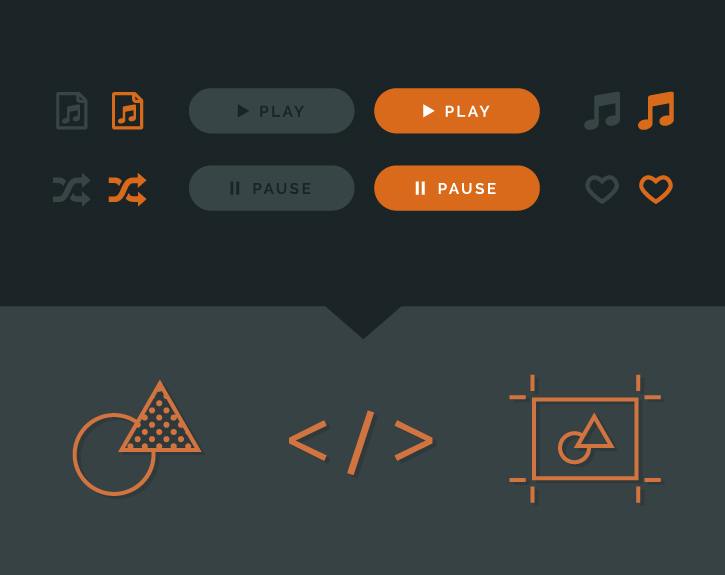 In SVG Options, choose settings suitable for your artwork from the CSS, Font, and other menus. Select Minify to generate SVG code with minimal IDs, indents, lines, and white spaces. See SVG to learn more about SVG options. Note: After exporting SVG code, don’t reopen in Illustrator to edit further. Instead, open the original Illustrator (.ai) document and export to SVG again.